How Can China Convince India to Sign Up for 'One Belt, One Road'? New Delhi has its concerns with OBOR. Are they entirely insurmountable? India, for various reasons, known and unknown, is reluctant to join China’s ‘One Belt, One Road’ (OBOR) Initiative. In the beginning, Chinese media and academics were advising India to join this ambitious project in re-connecting and sharing the benefits of China’s development with the world arguing that it can profoundly help India to transform its infrastructure and achieve domestic developmental goals. Recently, Chinese academics and media, especially the English daily Global Times, have shifted their stance from attracting to petrifying India, insinuating that if it does not join the OBOR, it’s likely that New Delhi will be isolated as many countries around the world are supporting and joining the OBOR. The reasons put forward are that India’s friends, Russia and Iran are interested in joining the initiative; as are India’s neighbours, Nepal, and Sri Lanka which have enthusiastically supported the OBOR. In the case of the Global Times, it’s worth recalling the Lowy Institute’s Peter Cai’s observation that “any discussion of editorial positions which in the end lack real substance and are not the voice of government.” Moreover, some Chinese scholars consider its nationalist strategy as nothing but gimmick to stay in the business. Global Times, nevertheless, read widely inside and outside mainland China, does reflect part of the range of the policy discourse in China. Interestingly enough, even some Pakistani scholars are also writing in the Chinese media that by not joining the China-Pakistan Economic Corridor, an artery of OBOR, India is hurting itself. It is prudent to emphasize that not even low-level officials in the Indian establishment will heed to Pakistan’s advice, leave alone the upper echelons of power in New Delhi’s South Block. The more Chinese media tries to lure India to join, the more wary Indian policymakers and media will grow about OBOR. The need of hour is an honest endeavor to convince India to ponder over OBOR, offering New Delhi some food for thought. As matter of fact, China’s assertive desire to pull India to support this genuinely ambitious initiative to transform Asia will be incomplete if New Delhi fails to buy into these Chinese narratives in support of OBOR. The inherent problem lies in Beijing not comprehending India’s apprehensions and sensitivities, which discourage New Delhi to come forward wholeheartedly and support the initiative. First, any Chinese assertiveness to persuade New Delhi to come on board will be a non-starter as the naysayers on OBOR in India hold that it is nothing more than a strategy to enlarge China’s sphere of global influence, endangering India’s strategic interests. Second, broader mistrust in the bilateral relationship is hampering prospects for strategic cooperation between two Asian giants. It was believed that economic cooperation invariably boosts mutual trust and trickles down to cooperation in other fields. Unfortunately, this is not happening in the case of the India-China relationship; the deep mistrust is not being offset by gains in other areas. The ghost of the 1962 war still haunts New Delhi and Indian media will not let go of it anytime soon. China hardly recalls the war, but being on the losing end, India will not overlook it. Third, India, has traditionally followed an independent foreign policy. In this sense, convincing India to sign onto OBOR because other countries support it won’t work. For that matter, even during the Cold War, the bipolar world system could not deter India to alter its position as it vociferously embraced a policy of nonalignment. India therefore, will choose to stand alone if its apprehensions are not addressed. But once India supports and hold hands with a country, it will not leave, even if all partners have deserted it. Fourth, the world is entering into an era of multipolarity. Isolation is no more a realistic strategic choice as it will push the country to balance the isolating power by joining hands with other powers. The best available choice, then, is to win over adversaries through dialogue and by building strategic partnership. 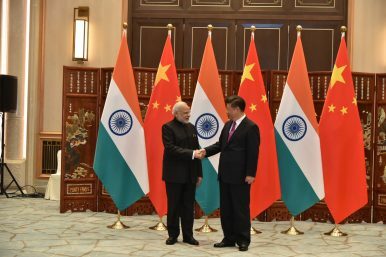 With distrust growing between India and China, thanks to the media of both the countries, New Delhi will look for partners to balance China, which will ensure that the dream of an Asian century with the two giants united will fail miserably. Fifth, the OBOR pushed on Beijing’s part will also shatter the dream of both countries to construct a new international order with India and China as leaders of the new system. India has positively supported and participated in China’s initiative of the Asian Infrastructure Investment Bank (AIIB), but there are limits to this cooperation. Both countries have come a long way also with the establishment of the New Development Bank under the aegis of the BRICS grouping, providing a new model of governance for the World. In the end, it’s worth reckoning with the fact that if India doesn’t have an allergy to the OBOR initiative, it at least has serious and enduring concerns. Beijing might reconsider its approach to convincing India and bring it to the OBOR table yet as a credible stakeholder. By joining OBOR, India will not only deepen the pool of mutual trust, but both countries could build a real strategic partnership to usher in a new type of bilateral relationship paving the way for a truly Asian century. Rajiv Ranjan, PhD is an Assistant Professor at College of Liberal Arts, Centre for Global Studies, Shanghai University, Shanghai. Colombo’s attempt to balance India and China has proved futile.